Her current work, “los archivos del cuerpo (body files)” explores a decolonial feminist aesthetics and the poetics of knowledge sharing, taking the form of an online platform, an open access archive of art and writing, an installation, a video screening series, workshops, and print publications. Alongside her teaching in the VCFA Visual Arts program, she is a Faculty Associate at the Berkman Center for Internet and Society at Harvard University, where her research is on the politics and poetics of online video. Previously, she taught at the School of the Art Institute of Chicago, and from 1994 – 2007, she was a member of the artists’ collective, Video Machete, which created open access media centers and free workshops as a practice of liberatory pedagogy. She collaborates extensively with transnational feminist research and activist media networks. Her work has exhibited internationally at the Espacio Parqueadero, Museo del Banco de La Republica, Bogotá, Colombia; Arte Nuevo Interactiva, Merida, Mexico; Galeria Arsenal, Bialystok, Poland; and in the U.S., the Fredric Jameson Gallery, Duke University; Playspace Gallery, California College of Art, San Francisco; and the New Museum of Contemporary Art, New York. She writes and lectures extensively on decolonial and feminist media, and recent publications include “Flow” in Social Text/Periscope (July 2013), as well as chapters in Estéticas Descoloniales (Bogotá, Colombia: Universidad Distrital Francisco José de Caldas, 2012), Mapping Latina/o Studies: An Interdisciplinary Reader (New York: Peter Lang, 2012); Art and Social Justice Education: Culture as Commons (Routledge, 2012); and Making Our Media: Global Initiatives Toward a Democratic Public Sphere (Hampton Press, 2009). She has a Ph.D. (2011) from the University of California-Berkeley in Ethnic Studies with Designated Emphasis in Gender, Women and Sexuality Studies, and an MFA (1989) from the School of the Art Institute of Chicago. Dr. Annie Isabel Fukushima is an Assistant Professor in Ethnic Studies and Social Work at the University of Utah. She is also the Director for the Initiative for Transformative Social Work, College of Social Work, University of Utah. And is the Secretary / Treasurer for the Human Rights Section of the American Sociological Association. Prior to joining the faculty of University of Utah, Dr. Fukushima was an Andrew W. Mellon Postdoctoral Fellow at Rutgers University (2013 – 2015). She received her Ph.D. from University of California, Berkeley, in Ethnic Studies with a Designated Emphasis in Women, Gender & Sexuality Studies (2012). 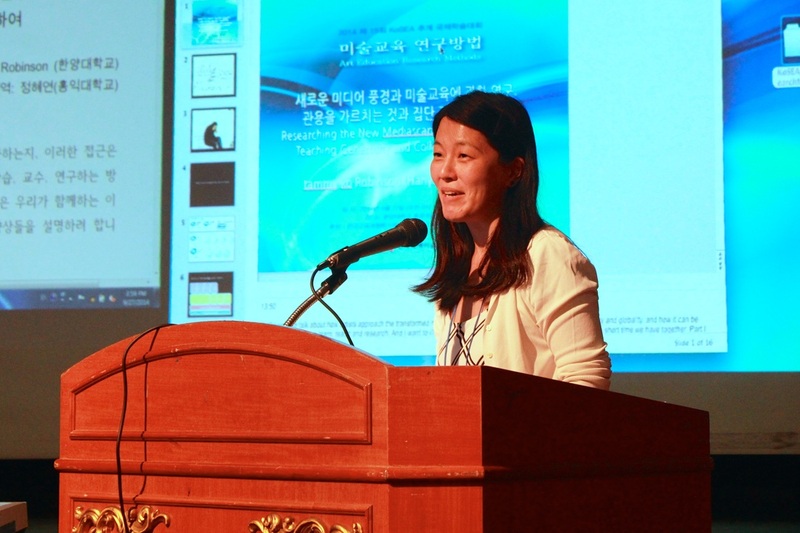 Dr. Fukushima maintains a lively research agenda. Her works have appeared in peer-reviewed scholarly journals: Feminist Formations, Frontiers: Journal of Women Studies, and Praxis (formerly Phoebe): Gender & Cultural Critiques. Dr. Fukushima’s most recent publications include “An American Haunting: Unsettling Witnessing in Transnational Migration, the Ghost Case, & Human Trafficking” in Feminist Formations(Forthcoming) and “Anti-Violence Iconographies of the Cage: Diasporan Crossings and the (Un)Tethering of Subjectivities” in Frontiers: A Journal of Women’s Studies for the Special Issue “Transnational Feminisms” (2016). Her scholarly interventions appear in anthologies edited by scholars in sociology, communication, and literature. Dr. Fukushima is committed collaboration where her coauthored chapter with Julietta Hua, “Calling the Consumer Activist, Consuming the Trafficking Subject: Call and Response and the Terms of Legibility” appears in the edited anthology Documenting Gendered Violence, edited by Lisa Cuklanz and Heather McIntosh (2015). She is also author of the chapter, “Beyond Supply and Demand” in the edited anthology Human Trafficking Reconsidered: Rethinking the Problem, Envisioning New Solutions (2014) which offers an analysis of the historic and current anti-trafficking responses through the focus on the “demand” for human trafficking. She was invited to be a co-editor for the inaugural anthology published by Third Woman Press (forthcoming 2016). Third Woman Press is a Queer and Feminist of Color Press. She has written multiple encyclopedia entries on human trafficking, intimacy and race, immigration, war and comfort women, for ABC-Clio, Greenwood Press, and forthcoming for Macmillan. And her general interest publications have appeared in The Essential Abolitionist, Foreign Policy in Focus, The Nation, and Asia-Times Online. Currently Dr. Fukushima is working on her monograph, Migrant Crossings, where she examines the sociopolitical process of witnessing Asian and Latina/o migrants trafficked in the U.S. Her teaching experiences encompass a wide range of institutions, where she has taught in community college (Laney College), in liberal arts colleges (Scripps College), at state institutions (San Francisco State University), and at research universities (University of California-Berkeley, University of California-Santa Cruz, Rutgers University, and University of Utah). Her teaching is recognized in her teaching award. She was recognized as the Outstanding Graduate Student Instructor at University of California, Berkeley, for her leadership in teaching in 2011. Not only is Dr. Fukushima recognized for her teaching contributions, but also her scholarly endeavors, receiving fellowships and recognition from Soroptimist International (2009), the Andrew W. Mellon Foundation (2013 – 2015), and recognition as the National Center for Institutional Diversity (NCID) Exemplary Diversity Scholar (2015 – 2016). Dr. Fukushima is committed to praxis, therefore she has worked at all levels of organizations, where she facilitates a bridge between research and practices that address the violence in our lives. Dr. Fukushima has served as an expert witness for human trafficking cases in California and Colorado, and a consultant regarding human trafficking for Office for Victims of Crime. She has worked at all levels of organizations as a case manager, programs coordinator, technical assistant provider, consultant, executive director, member of board of directors and advisory board for a wide range of organizations. Currently she is Co-Chair for the Conference Committee with the Freedom Network US, which is a national network of experts working on human trafficking. The Co-Coordinators Dalida & Annie are working with a team. Damali Abrams is a New York City-based artist. She received her BA at New York University and her MFA at Vermont College of Fine Arts. Damali was a 2009-10 A.I.R. Gallery Fellowship recipient. Her work has been shown in New York, New Jersey, Philadelphia, Memphis, Savannah, New Orleans, Denver, and Miami. In New York City, her work has been exhibited at The Museum of Contemporary African Diasporan Art (MoCADA), A.I.R. Gallery, JCAL, Rush Arts Gallery, The Point, The Schomburg Center for Research in Black Culture, and BRIC Rotunda Gallery, among others. Her work was included in the 2013 Bienal at El Museo del Barrio. She has presented her work or taught workshops at BMCC (Borough of Manhattan Community College), SUNY Purchase, Barbados Community College, NYU Polytechnic School of Engineering, Hunter College School of Social Work, and Syracuse University’s 601 Tully. In 2013 she attended a dual residency with Fresh Milk in Barbados and Groundation Grenada. Damali was one of the 2014 artists in residence at The Center for Book Arts and last year completed an apexart International Fellowship in Seoul, South Korea. This past year Damali has been an artist-in-residence at LMCC’s Governors Island Process Space, as well as a participant in the Whitney Museum’s Independent Study Program. Dizon has exhibited and lectured internationally at venues such as the Center for Women’s Studies (Zagreb, Croatia), Caixaforum (Barcelona, Spain), Copenhagen International Documentary Film Festival (Copenhagen, Denmark), Jeu de Paume (Paris, France), IASPIS (Stockholm, Sweden), Metropolitan Museum of Art (Manila, Philippines), Sumaryo Art Space (Jakarta, Indonesia), Vargas Museum (Manila, Philippines), Para/site Art Space (Hong Kong, China), Queens Museum (Queens, United States), Los Angeles County Museum of Art (Los Angeles, United States) and the Yerba Buena Center for the Arts (San Francisco, United States). Dizon is the founder of at land’s edge, an experimental platform for visual research and catalyst for decolonial thought and action. She has taught courses on documentary, visuality, postcoloniality, globalization, war, feminism, and ecology at the California Institute of the Arts and served as co-chair and core faculty in the Visual Art program at the Vermont College of Fine Arts. She earned an MFA in Art with specialization in Interdisciplinary Studio at the University of California, Los Angeles, and a Ph.D. in Rhetoric with designated emphases in Film and Women, Gender, and Sexuality from the University of California, Berkeley. tammy ko Robinson is an artist-researcher with interests in decoloniality and the stewardship of airwaves, land, and water. Her body of work that includes participation in the widely exhibited Video Machete collective and recently spans her remigration to South Korea includes video, installation, and archive creation. Concurrently, her writings on art and culture have appeared in The Hankyoreh, Pressian, article, SPACE Magazine, Asia-Pacific Journal, ArtAsiaPacific, KoreAm, and Flash Art. Formerly faculty of the School of the Art Institute Chicago and San Francisco Art Institute, she now serves as an Associate Professor at Hanyang University teaching courses in cinema, virtualities and new media. For the past two years she had served as a Senior Researcher, Asia and Migration, Asia Culture Center 2015-present cocreating and exhibiting an archive on display until 2017 that highlights seven taxonomies in a curricula of freedom written by Asians in migration in order to trace unprecedented interethnic solidarities and correspondences across what has emerged as restructured global finance cities in the Pacific dating from 1968 to the present day, Chicago, Manila, San Francisco, Taipei and Seoul. Since 2012, ko Robinson also has served as a consultant for the KARMHA project that has built a permanent collection of adoptee history with the Emigration History Museum and serves as co-editor of the book and open source online archiving platform set to launch in the fall of 2016. Her proposal to work with the following community partners: Dreaming Tree, the Thai Workers Collective in Korea, Migrante, DiscLab, and the Office of Culture and Design stems from research activity cultivated together in the past 18 months regarding a “pattern language” regarding the right to not move, the right to play, and the right to sunshine. As one of the artist facilitators I will be laying out a network facilitating a multiply localized understanding of contemporaneity and ever refining contemporary art praxis as architects, writers, graphic designers, and filmmakers working to expand the circulation of freedom-seeking material cultures across Asia. Sample includes invitation letter to work with DiscLab in Lucban, Philippines, and material of a symposia I recently programmed for ACC, Gwangju, South Korea. Diasporas criticism is a platform for artistic research that works as a space for reading, discussion and action around the neoliberal policies of sexual and racial monitoring. The project was born in the Raval district in Barcelona and is invigorated by Veronica Lahitte (Buenos Aires, 1980), visual artist; Rebecca Close (London, 1987), researcher; Marin Anyely Cisneros (Caracas, 1977), researcher, teacher and social television producer. Juntxs work with a file poetry, manifestoes and decolonial, feminists and queer speeches. His projects explore the possibility of activating these historical transformation languages and strategies of self-production of subjectivities. In collaboration with diasporas otrxs criticism, research, performan, they read, archive, make video, write, enunciate, publish, coordinate, talk, discuss, make radio and presented as tools of collective self-colonization and decolonization. Currently Rebecca Close, Veronica Cisneros Lahitte and Anyely Marin residing in Ecuador at the University of the Arts in a residence research and teaching with the Department of Critical Theory and Experimental Practices. Jane Jin Kaisen is a visual artist born in South Korea and adopted to Denmark in 1980. She lives in Copenhagen. Her research-based art projects take the form of film, video installation, performance, and writing. Working with multi-layered narratives in between documentary, fiction and performativity, she explores ways of contouring silenced histories, intertwined personal and collective memories and embodied experiences of difference. Recent projects include Apertures½Specters½Rifts (2016) concerning transnational women’s movements and haunting effects of the Cold War, Loving Belinda (2015), a mockumentary project addressing transnational adoption in Scandinavia, Reiterations of Dissent (2011), a multi-channel video installation framed around the Jeju April Third Uprising and Massacre in Korea, and The Woman, The Orphan, and The Tiger (2010), a film that contours transgenerational gendered effects of militarism and colonialism. Kaisen received her arts education from the University of California Los Angeles, the Whitney Independent Study Program, and The Royal Danish Academy of Fine Arts where she is currently a PhD candidate in artistic research. She is co-founder of the artist collective UFOlab (Unidentified Foreign Object LABoratory), member of the exhibition collective Orientity Exhibition and co-initiator of the artist unit itinerant_incisions. Annette Markham is an itinerant scholar researching and teaching in the broad areas of social media, qualitative methodologies, and ethics. Her current Appointments/Affiliations is as an Associate Professor with the,Department of Aesthetics & Communication, Aarhus University, Denmark. She has worked as a professor of communication studies at Virginia Tech (1997-2000), University of Illinois at Chicago (2000-2003), University of the Virgin Islands (2003-2006), and Aarhus University (2011). Dr. Markham studied at Purdue University (PhD Organizational Communication 1997), Washington State University (MS Communication 1994), and Idaho State University (BA 1988). Pedro Pablo Gómez Moreno. Asociate Professor, Facultad de Artes ASAB at Universidad Distrital Francisco José de Caldas. Studied at Universidad Nacional de Colombia (BA), Universidad Javeriana (MA), Universidad Andina Simón Bolívar – Sede Ecuador (PhD). Lives in Bogotá, Colombia. Editor of Calle 14, Journal. Danish Lene Myong’s recently appointed head of the Network for Gender Studies at the University of Stavanger. The job has given her a unique opportunity to work with gender. In her homeland, there are fewer jobs in the field, which also are less institutionalized. Myong has mainly researched on transnational adoption. She started on her doctoral dissertation on the subject in 2004. At that time there were few in Denmark who were critical issues. Feminist theory inspired her to ask critical questions about transnational adoption. The critical adoption research, a growing adoption of political activism and testimony from those adopted itself, has helped change the public debate. The fact that they adopted increasingly visiting or moving back to their country of origin, and thus has an opportunity that produce new knowledge, has also been important. Myong is aware that the debate on transnational adoption evokes strong emotions. She looks at transnational adoption as a forced migration form. Lene Myong has also collaborated with artists as part of their research. Art has played an important and driving role in the dissemination of adoption criticism in Denmark. I think the reason is that art can ask difficult questions without making a final solution. It is not easy for us researchers, it is expected that the research is solution. Office of Culture & Design, Philippines.